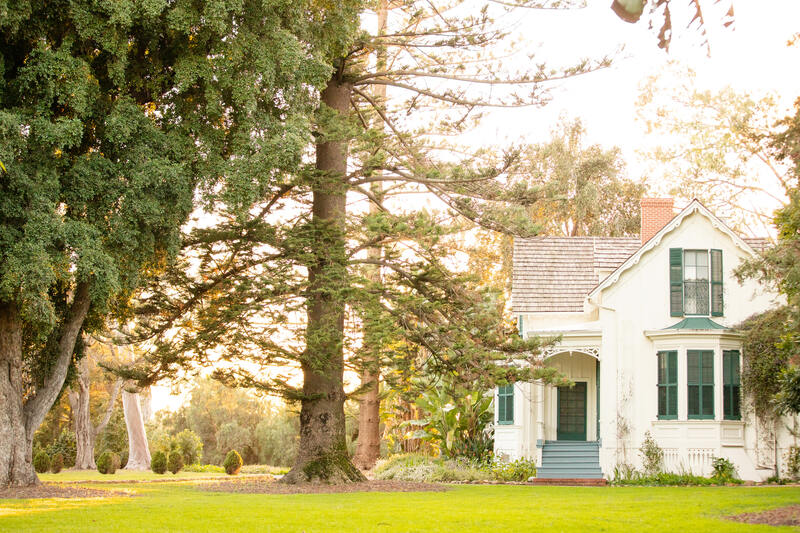 Imagine being married under the redwood tree the Stows received in 1873 for their first anniversary or on the steps of the Carpenter Gothic mansion that sits beside it. 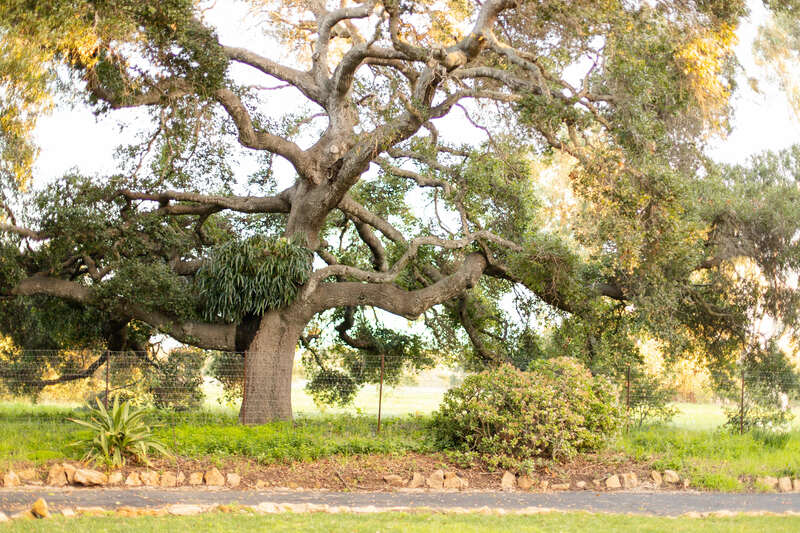 Imagine strolling over to Lake Los Carneros to for a private moment or tossing your bouquet beneath the grandest bird of paradise your guests have ever seen. 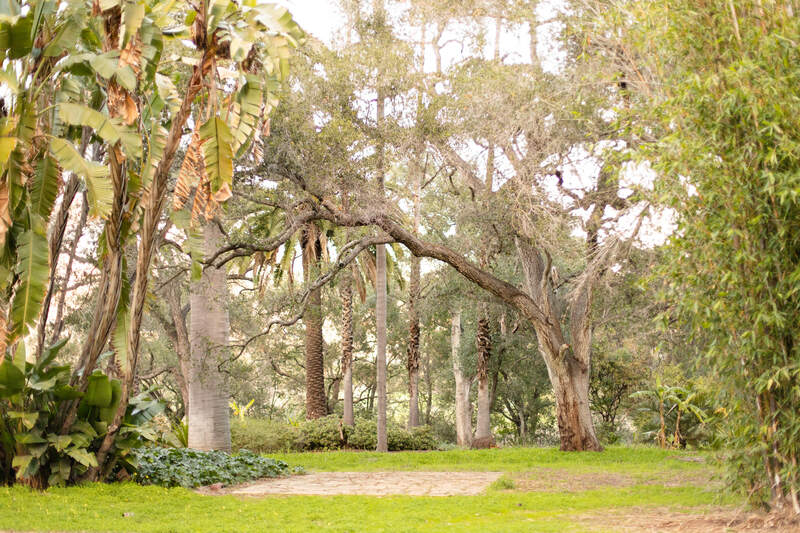 Imagine your wedding at the lovely gardens of Rancho La Patera. 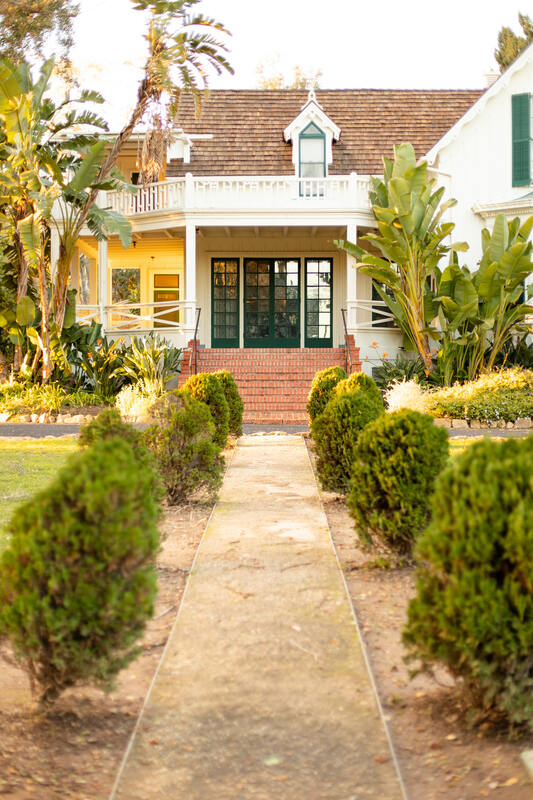 The gardens are perfect for events from intimate weddings to large receptions. You design your celebration and we provide the most beautiful and serene place to make your own history …The possibilities are endless. 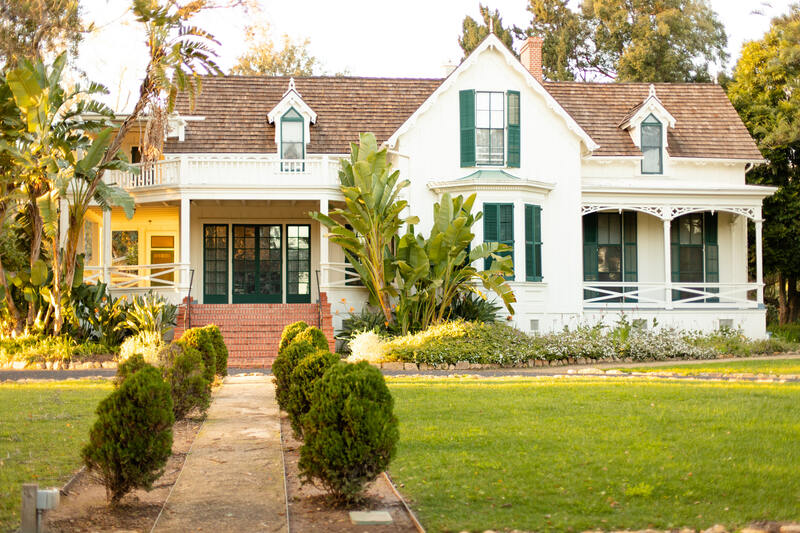 This charming, historic venue is available for daytime (until sunset) events. We do not allow events past sunset. 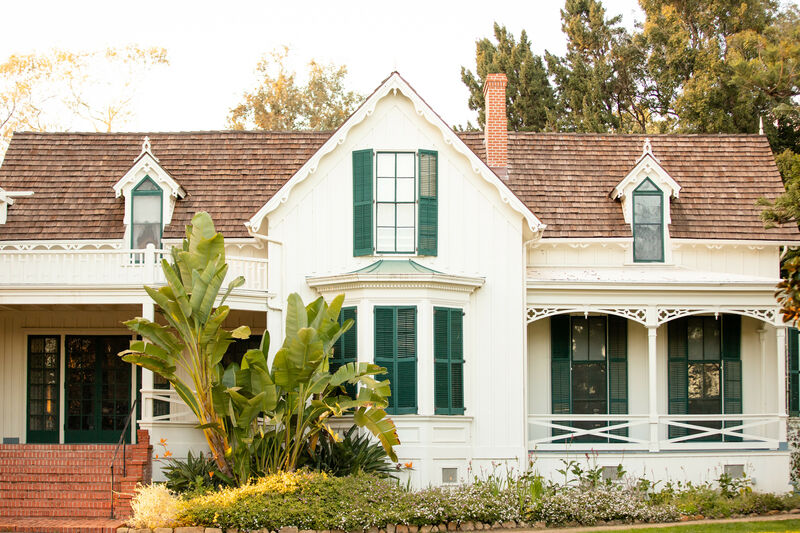 A beautiful example of an early California ranch, Rancho La Patera was saved from development in the late 1960s, and has been preserved for future generations by a collaboration of the Goleta Valley Historical Society and the City of Goleta. 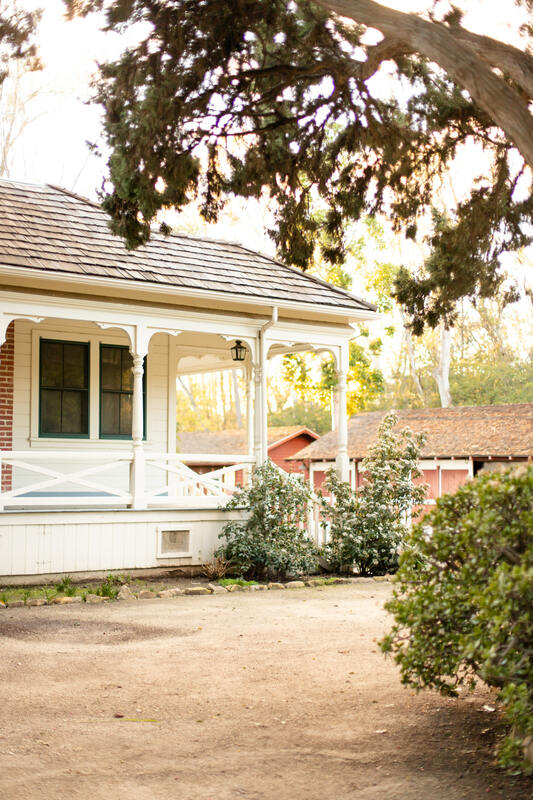 As stewards of the Ranch, we are are proud to share this historic gathering place with you. 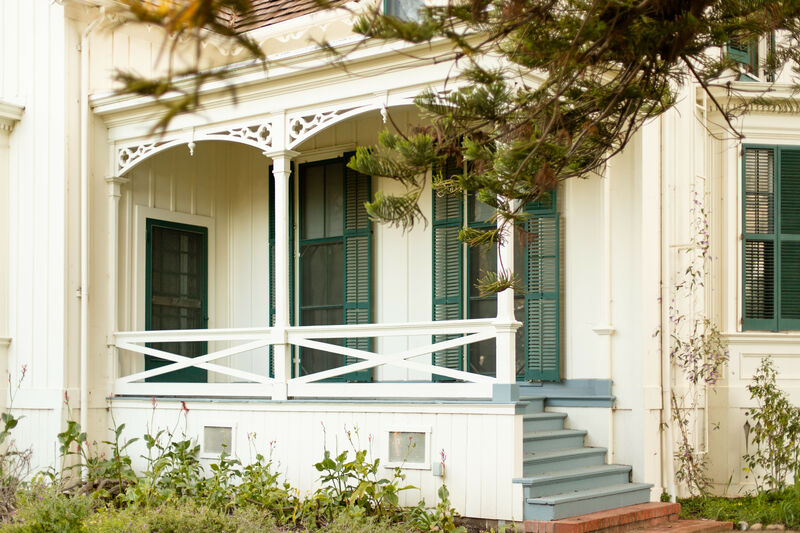 Guests to the Ranch can enjoy our beautiful gardens and historic buildings, as well as trails and wildlife within the Lake Los Carneros Natural & Historical Preserve. 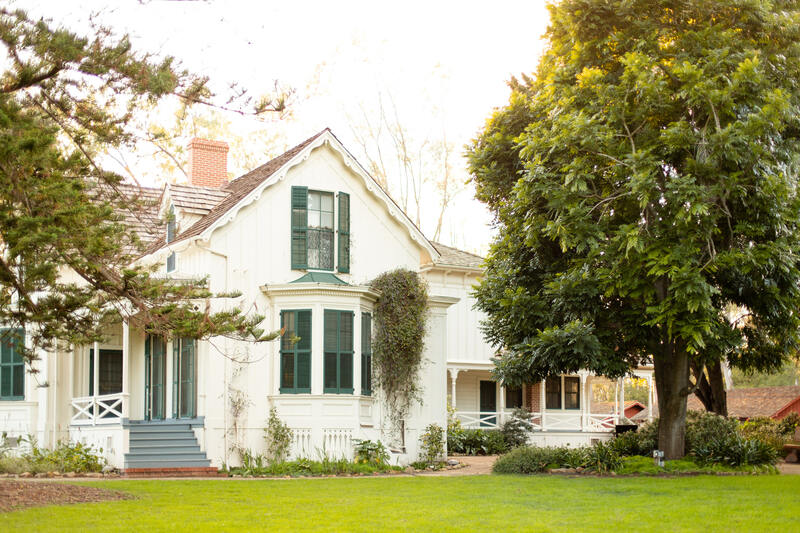 The restored gardens and Ranchyard are ideal for events from very intimate to large groups and are booked for events throughout the year such as weddings, fundraisers, concerts and more. Can I use your facility for my wedding ceremony AND my wedding reception? Absolutely. 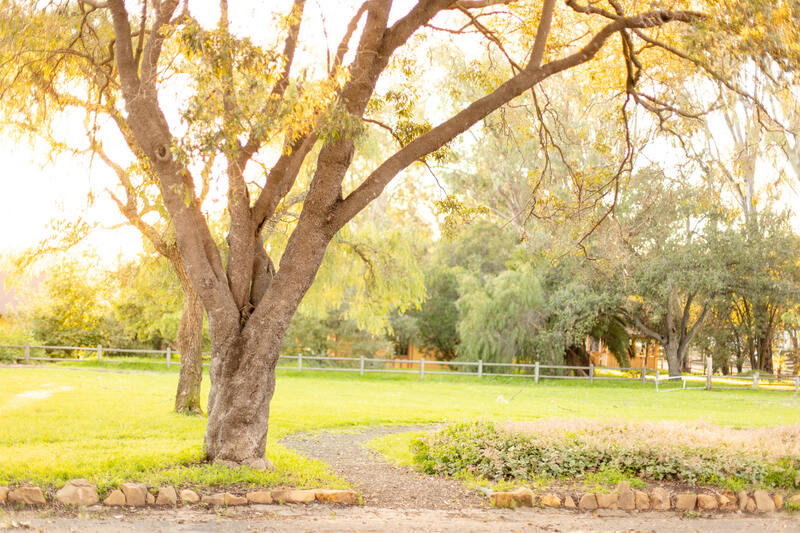 You will be able to choose between three beautiful garden locations for your ceremony, and our main lawn is an ideal space for a fun, yet elegant outdoor wedding reception. Yes, catering must be brought in! We also provide a list of recommended caterers. If you wish to bring in your own caterer they must be licensed, insured and approved four months in advance. Are there onsite kitchen facilities? We do not have an onsite kitchen, however we have a designated space for caterers along with tables and tents for them to use if they’d like a satellite kitchen. What does the reception site provide? We have tables available for your caterer to use as part of their kitchen. Tables, chairs, linens and any other items your event may require must be rented from a local approved event rental company. Are there changing rooms for the bridal party? Yes. We provide a simple room for the bride. Sorry guys! Are there sufficient restroom facilities? Yes. We provide clean restrooms that accommodate groups of up to 300 people. Groups exceeding this limit are required to bring in additional restroom facilities. Please inquire for specific requirements. What is the deposit and when is the rental fee due? A deposit fee of $500 is due at the time you book your event. The rental fee is due four months prior to your event. The cleaning deposit will be returned approximately three weeks after the event. A credit card may be used for the deposit. The deposit is non-refundable. The facility fee will be waived if the event is canceled six months in advance. All amplified music is allowed. The site coordinator may request that the volume of music be turned down if there are complaints from neighbors, this is not however a common issue. Yes. If you intend to rent a large tent, you may be required to rent the facility for additional day for set up/tear down/ fire permits. The cost for the additional day of rental time is $500. Please inquire for further details. 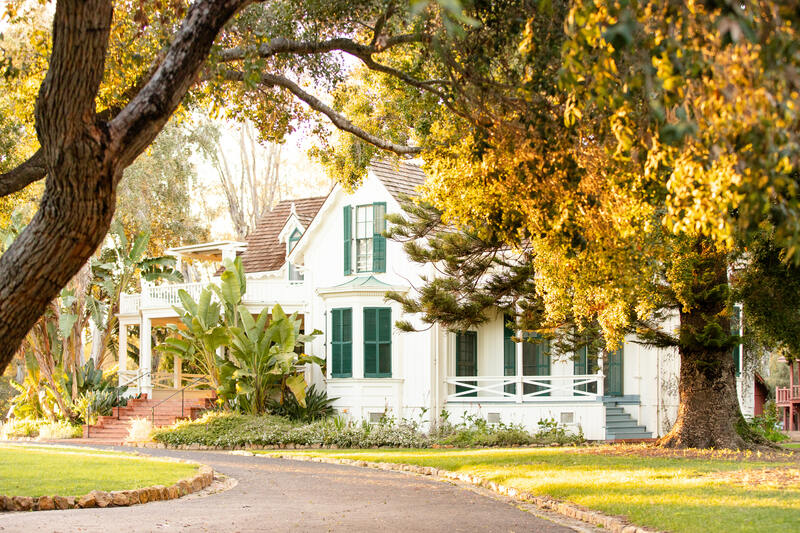 At what time will my guests have to leave the Ranch? Your event must end by sunset, or as stated in your contract. Only the caterer and rental company will be permitted to clean up briefly after the designated time. The applicant must provide a Certificate of Insurance in the amount of $1,000,000. This can be obtained through your home-owners policy or a private event insurance carrier such as Wedsafe.com. The number depends on how you plan to design the layout of your event. Our main lawn can fit up to 600 for a “ceremony only” or 450 for a seated reception. 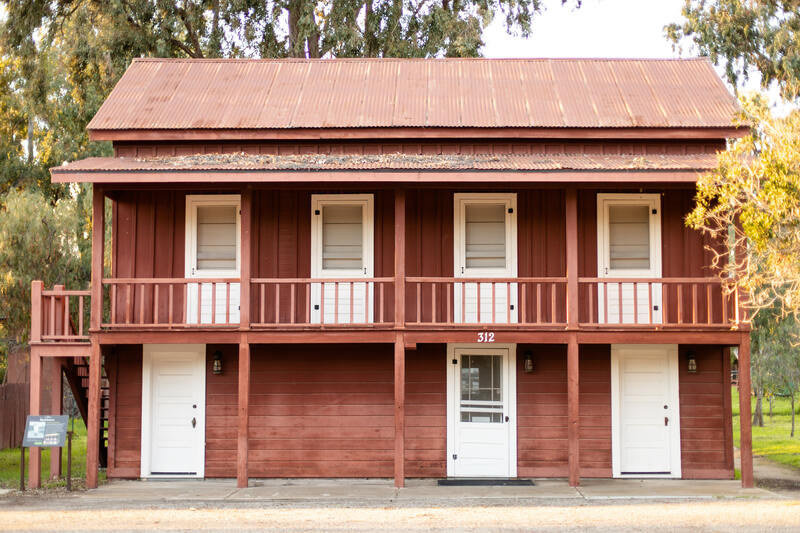 Like many facilities, our most common reception size is approximately 200 guests and we often host smaller events and even elopements as well. Will there be other weddings booked on my day? No. We only host your wedding that day! I am interested… What do I do next? 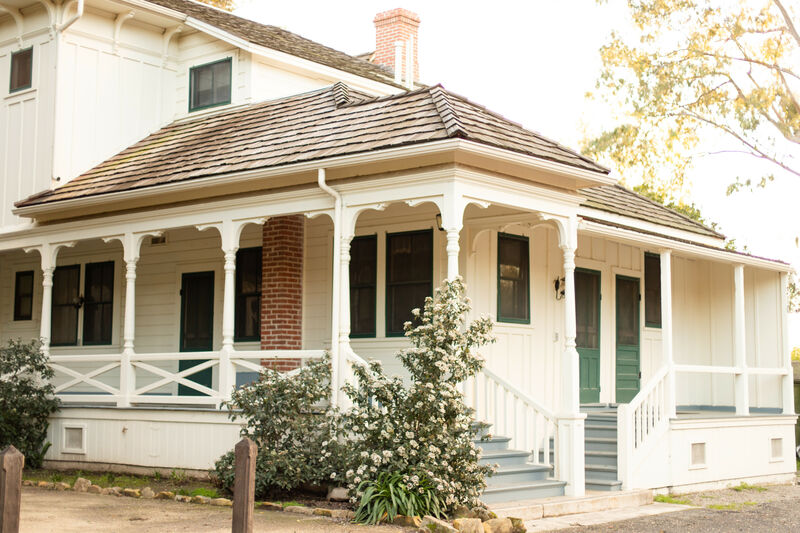 Please contact the Events Coordinator at Goleta Valley Historical Society to check availability, take a site visit and reserve your date. We do recommend booking as early as possible to ensure your first date choice. Does my site rental fee include a rehearsal?